There are a few things that complete your outfit. The boots are one of those things. People have special collections of the all kinds of boots and when winter comes you need to have the winter boots in your collection too. There are a lot of winter boots available in the market for men. But these boots don’t fall in the category of the best boots. If you are thinking of having the best winter boot for men in 2019, then BRUCEGAO’s Alligator Boots is the best choice to have. These boots are made from the best Alligator skin and are considered as the finest amongst the all. Why BRUCEGAO’s Alligator Boots best? 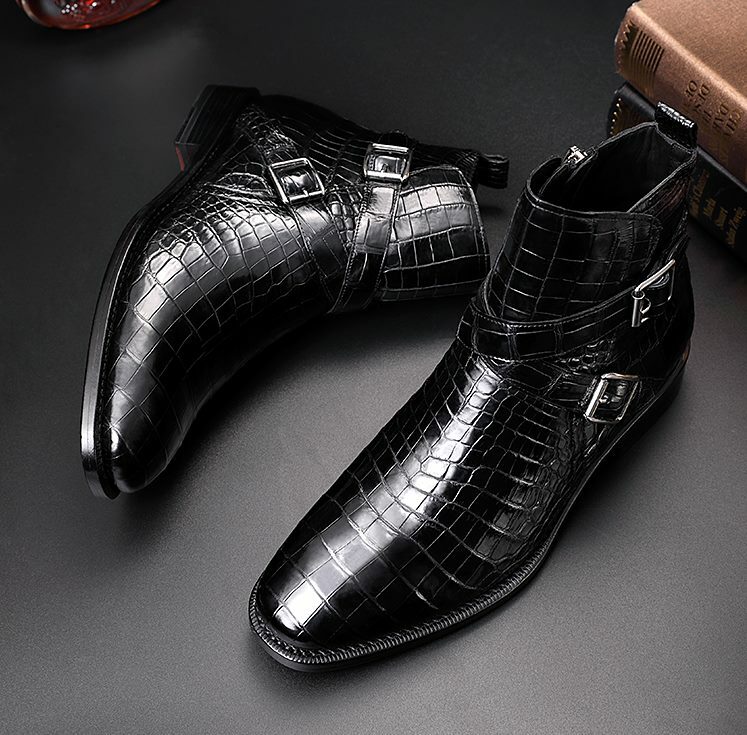 The BRUCEGAO’s Alligator Boots are considered as the best shoes for men to wear in winter because of the great comfort they offer. If you previously have the winter shoes in the wardrobe made by some other company, you might have experienced that these shoes are not very comfortable and you do not like to have the walks in these shoes. But the BRUCEGAO’s Alligator Boots are made to offer you the comfort that you want and have long walked in the winter with your loved ones. So, what is better than having comfortable foot wear that will not hurt your feet? The shoes that are available in the market to wear in winter are not unique anymore. These shoes have the same old styles and you will see them in the feet of every other person that you see. But the BRUCEGAO’s Alligator Boots are made to offer you a unique look so you stand out. You will surely notice the uniqueness in our shoes. As you are spending your money on the winter shoes then you surely need the shoes that are warm. So, why spend on a shoe that is not warm. Because shoes that are available in the market are not very much warm. The BRUCEGAO’s Alligator Boots offer the best warmness and help you keep your feet warm in the winter. The thing that makes a shoe last longer is the material it is made from. If you don’t consider the material of a product then you will only have your money wasted. 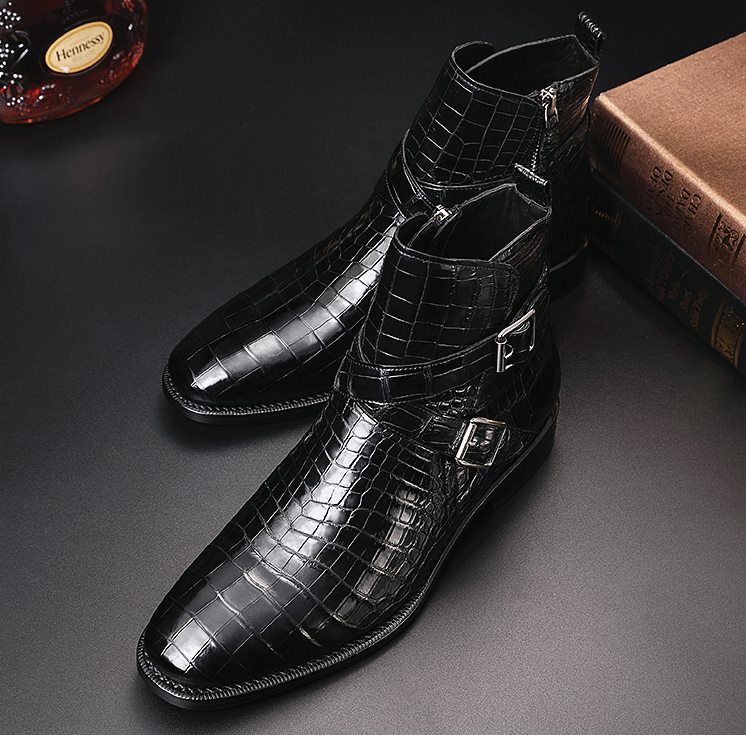 The BRUCEGAO’s Alligator Boots are made from the best materials and every detail is very fine. From the material of the upper body to the sole of the shoe is made of the finest materials. The above-mentioned things explained the reasons to have the BRUCEGAO’s Alligator Boots in your winter boots collection. The combination of comfort, warmth, great material, and the uniqueness make the best shoes available.